There is a phenomenal rise in construction activities in the field of civil engineering in the recent years. Major structures like buildings, bridges, dams are subjected to severe loading and their performance is likely to change with time. It is, therefore, necessary to check the performance of a structure through continuous monitoring. If performance deviates from the design parameters, appropriate maintenance is required. The life of a structure depends on initial strength and the post construction maintenance. It is for this reason that the necessity of structural health monitoring (SHM) is emphasized worldwide. There are several techniques to monitor the health of structures. These can be divided broadly into two types, global and local. The local and global techniques independently cannot monitor the health of a structure continuously in an autonomous manner. For example, the global technique, cannot determine incipient damage. The local techniques, being localized in nature, can identify damage only within a limited zone. Hence, a technique is required for structural health monitoring (SHM), which should carry out continuous monitoring of structure both locally and globally, should be sensitive and at the same time cost effective. The primary objective of this project work is to develop a new technique by Integrating the global and local techniques based on piezoceramic sensors. There are different types of sensors which can be used for SHM. In general, the performance of PZT sensor is better than other sensors and are also very cost effective. In this study, PZT patches have been used as sensors for both global and local level damages. In addition, the possibility of an embedded PZT sensor has been investigated. The PZT sensor is embedded in structure at the time of construction. It is successfully demonstrated that the embedded patch acts as sensors for both the global dynamic technique and the EMI technique. The conventional methods, which differentiate the damage as incipient, moderate and severe, are based on experience. A new algorithm has been developed to determine the severity of damage using experimental mode shapes. The basic advantage of the algorithm is that the severity of the damage can be computed in terms of the original stiffness of structure. It has also been shown that by suitable integration of the global dynamic and the EMI technique with artificial neural networks (ANN), the issues of localization and quantification can be addressed more appropriately. Hence, the integration of these techniques leads to much more effective SHM and this forms the main contribution of the project. Vivekanandhan S, Suresh Manickam. "Study of Health Monitoring of Steel Reinforced Concrete Beam Using Transducers." 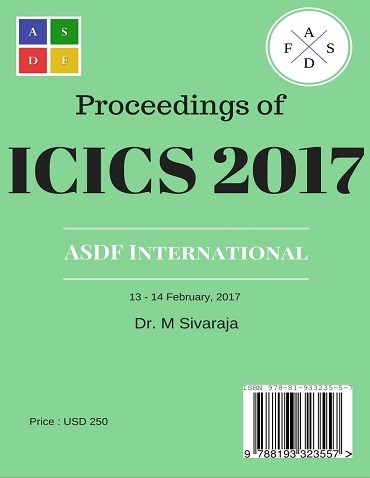 International Conference on Intelligent Computing and Systems (2017): 53. Print.